A 'Viking ship' is a long-ship/longship. We all know that, don't we ? 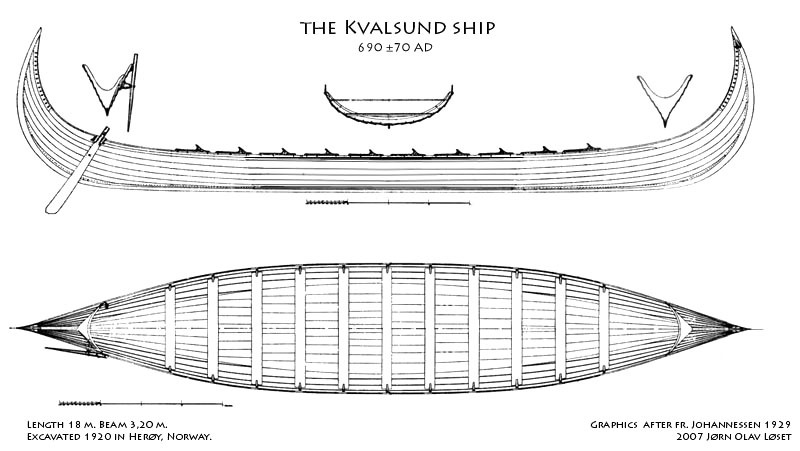 There is no such thing as a 'longship', it is just a general term indicating ships with a relatively narrow beam(width) in proportion to their length. Most ships described as 'longships' are mean to be rowed in addition to sailing and as such they are galleys. Galleys are narrow to give good performance under oar power. Longboats are boats carried by sailing ships and were usually used with oars but also could have sails. Remember, a ship can carry a boat but not v.v. ! Viking Period ships were not revolutionary nor better than their contemporaries' ships. In 895 King Alfred of England found no great difficulty in constructing a fleet of ships that were better than the Danes' ships and defeated them in battles the following year. This was at a time before the longer warships of the later Viking Period had been devised. 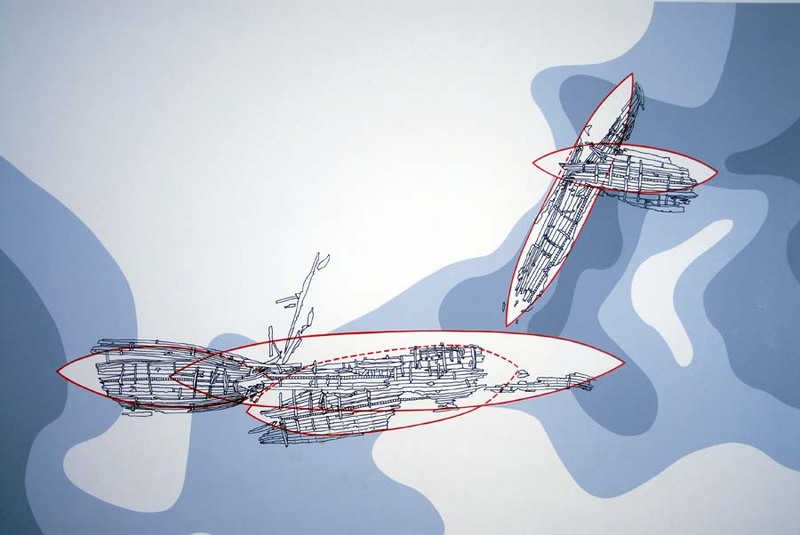 As Alfred's project shows, there was no great interconnected scheme of 'warship development'. Shipwrights learned by trial and error and any region would have its own ships tailored to its own conditions and experience. At later dates kings needed ships to rapidly transport large numbers of warriors and that is what became to be built. In the earlier Viking Period power was not so centralised and ship types more varied and probably more versatile. The Frisians, the Franks and the English all sailed ships and had done for the same length of time the Scandinavians had. These peoples all began their history in the same role as the Vikings. They were all piratical coastal raiders preying on the settled areas of northern Europe. 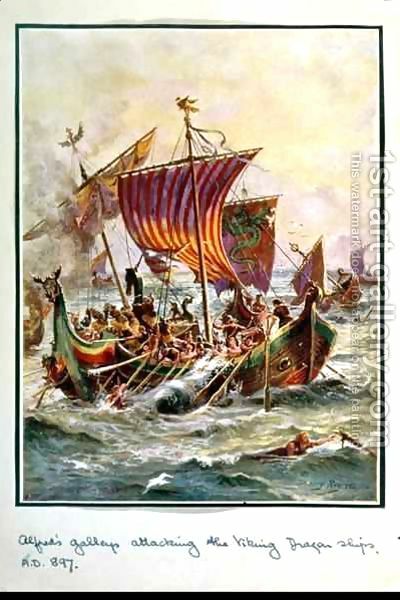 Vikings were just the 'New Wave'. The ships taken from the bed of Roskilde Fjord at Skuldelev are all dated to c. 1040AD. Their forms vary widely even if their construction methods are similar. This indicates that place and function influence the form of ships at this time more than any idea of technological development. The only developmental trend is that ships can be built bigger. As power, society and economy became centralised ships could be built bigger for the increased requirements of trade and war. We only have 3 well-preserved wrecks from the classic Viking Period of raiding and expansion : Oseberg, Gokstad and Ladby. They are very different and, as far as we can tell, none of them were used to attack Franks or English. We still do not really know what 'Viking Longships' were like. There are many words used in Old Norse literature for ship. It is almost impossible to tie down these words to a single ship 'type'. Thi sis mostly because there were no real ship 'type's - ships were for a purpose. The builder in Norway could have a diffrent solution for the same purpose than one from Denmark. The best example is the term 'knarr' - of which there are a plethora of synonyms and linguistic variants. Eldar Heide (2014) has convincingly argued that the word never meant anything than 'warship' in Swedish and that it always retained a dual meaning of warship and cargo transporter. The basic meaning, he argues is 'a ship with a back-wards-curved stem. The Oseberg ship would be an archetypical 'knarr' - much to the consternation of many who expect only a short, fat , round ship associated with the term.